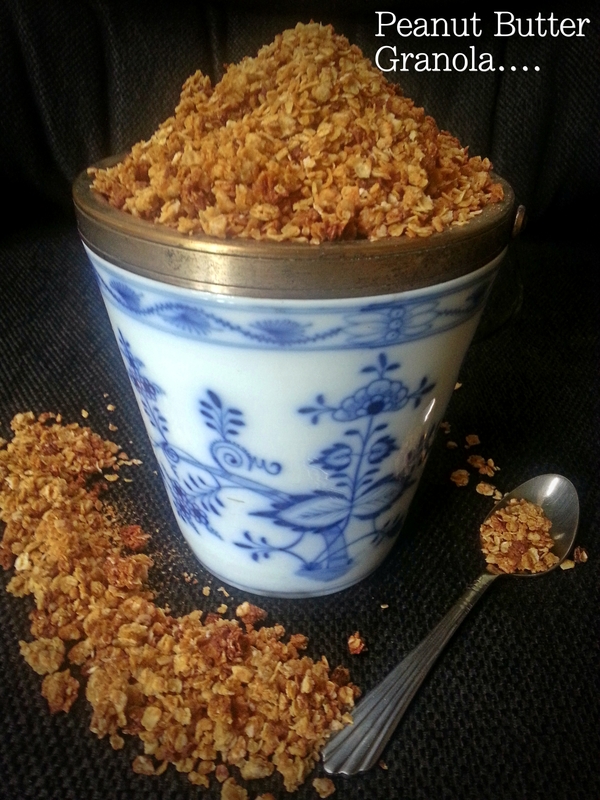 This is the easiest granola recipe of my life or for that matter your life. I can’t think of any recipe that can be easier than this and it bakes in a jiffy.The flavours are subtle you can slightly taste the peanut butter and a hint of cinnamon the brown sugar does add a lot of crunch and flavour to it. The kids are going to love it they will be in crunchy, handful after handful heaven! ( Lord have mercy on us mothers). The recipe uses basic pantry staples that all of us have, have it with milk or Greek yoghurt and fresh fruits. I made some granola and sent it over to my sister-in-law and now her kids can’t stop asking for more and I don’t even mind sending a box every week, its that easy. Preheat the oven to a 180 degree centigrade. Pour oats into a bowl, set aside. In a microwave safe bowl, combine the peanut butter, honey and brown sugar and heat the mixture in the microwave until smooth and runny for about 30 seconds stir in the cinnamon. Pour mixture over the oats and toss mixture with a spatula until evenly coated. Spread the mixture onto a parchment paper lined baking tray in an even layer and bake in preheated oven until golden brown for about 18-20 minutes, do stir once halfway through baking. Allow to cool completely before storing into an airtight container. Adapted from Peanut Butter Fingers and Cooking classy.